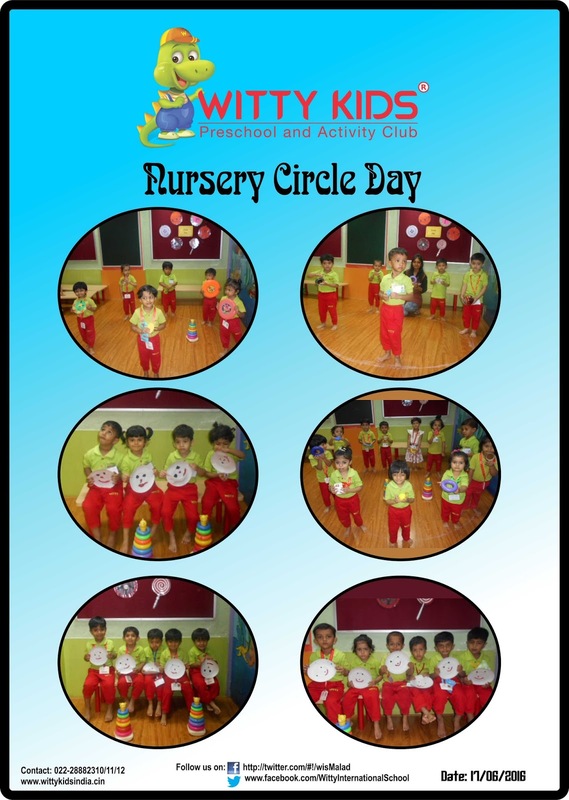 Nursery section at Witty Kids celebrated “Circle Day” on Friday, 17th June 2016. 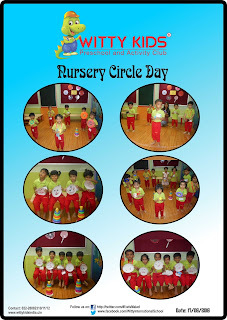 Teachers had decorated the class with Circle shape objects and then narrated the story on Circle shape. Children willingly participated in various activities such as shape tracing and making body circle. To make ‘Circle Shape Day’ more interactive children were asked to bring Circle shape snacks in their tiffin.